Register Log In Home Forums Trapper Talk How many birds at your bird feeders at ONE TIME ! Well, you'll be eatin' good tonight won't ya? Waiting for things to be very, very wonderful. 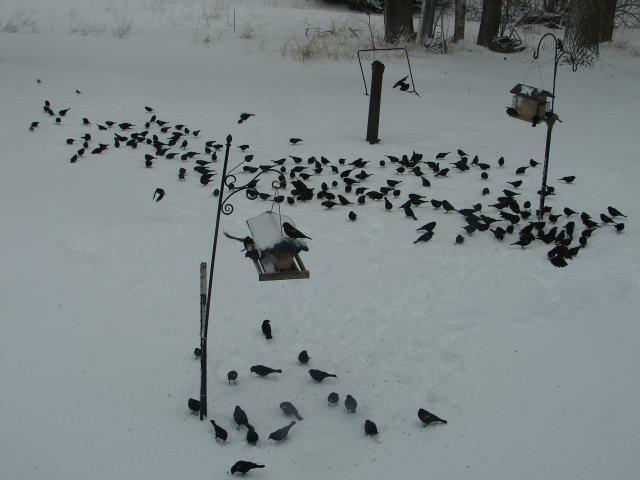 I have never seen birds swarming around our feeder as I have the last couple days. I'm guessing I have gone through 20 lbs. of feed in the last couple days. They actually have the snow packed down. Same here Moosey, literally a hundred at a time around the feeders. Like to eat me out of house and home, the little woman had to go out in the blizzard this morning in her nightgown and Sorrels to restock them. We even had a couple crows come walking into the crowd for breakfast today. When I restock them they don't even all fly away. Instead they hang sound the Bittersweet where the feeder hangs. Never seen anything like this. Might have to stop on the way home tomorrow and get another 40 lbs. I opened this up thinking it was total birds. When I am gone the Starling swarm comes for the suet. And some kind of raptor that swooped in so fast I never got to see what it was. The birds sure scattered though. Last edited by goldy; 04/16/18 12:05 PM. 2 pelicans for sure, 1 Egret and one Great blue heron. We've had Redpolls by the 100's since Christmas. Both the Common and Hoary. Used to have a nice group of Gold Finches stay all winter but with all the Redpolls I did not see many finches. Lots of Juncos, chipping sparrows, blue jays, starlings, Downy Woodpeckers, pheasants, house sparrows, Sparrow Hawks(Kestrels), Great horned owls, pine siskens, creepers and now blackbirds and grackles. I probably missed some. I hear ya when you talk feed costs. They were going through 2 socks of thistle seed a day. PS. If anyone builds some unique bird houses (single level) give me a shout. Forgot to mention one more (birdie) Sharp Shinned Hawk....LOL.... looked out, no birds around then looked in tree that feeders hang and there he or she sat wondering where the heck did all the snacks go ????? Like Turkeytime, I thought you ment #s. We will get 50 Pinyon Jays at a time.ame #s for Gray-crowned Rosy finches. i dont feed birds...i have natural food. I dont let the birds become dependant on feed from me and stay thru the winter. When the natural feed diminishes they migrate. I get about 7 species at mine outside the kitchen window and every now and then a kestrel that comes in for a quick snack. Like Zim, I have to take out a second mortgage to buy the food. Glad winter's almost over. 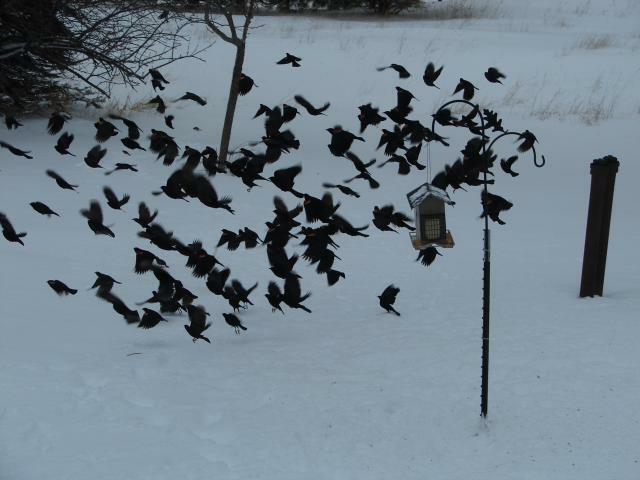 These are Red wing blackbirds, morning after our April snow storm. only 13 inches here,29inches 20 miles north ! It is a desperate time for the wee ones now. I am SO happy to see them helped out . Not one thing wrong in that . The storms are so widespread they cannot get away and would burn up their energy reserves that are already taxed this time of year. 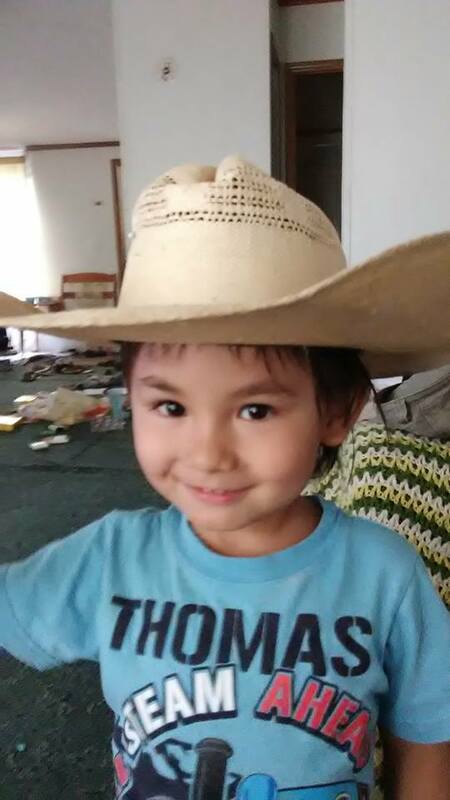 Thank you all who are so kind hearted in your survival help. Life is not easy for birds. Thats right, 330, they migrate anyway. Cornell U has years of fascinating study on that from participating feeder watchers across the US and Canada. Its the ones who are there now, that suffer in these exceptional weather events-again- thank you all for helping them through this time, even as you all too endure hardship yourselves. i still wont feed them,the hangers become dependant. In both wilflife programs ive worken in we had a no feed policy . In ohio food is pretty abundant.